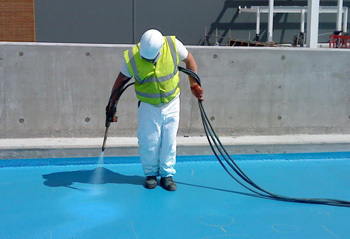 When it comes to waterproofing, we are the best service provider in Montana. In many years of offering quality services, our most noticeable features have been our fast response and cost effective offers. This is because our waterproofing contractors Montana offices are strategically positioned to ensure that we are in close proximity to our customers. You can, therefore, be sure that our contractors will respond to your query immediately, whether you require guttering installations on your home or roof renovations for your office. Our waterproofing Montana customer care team is always available to respond to your call. Our hotline number is 012 004 1887 and it is operational seven days a week. With our hassle-free service you’ll have problem solved in a record time. You can also reach us by email. Whatever issue you are experiencing, from rising damp to roof leaks, simply contact our Montana waterproofing team on 012 004 1887 and we will arrive at your home or office ready to solve the problem for you.